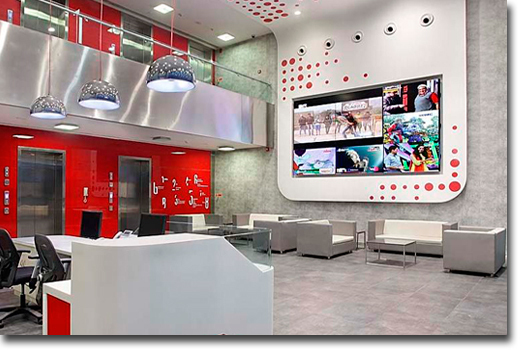 When global media giant Viacom18 brought over 750 employees from a dozen different channels together in a new facility in Mumbai, integration of disparate identities, work cultures and demographics in single spatial environment was the challenge posed to us. We addressed the needs of commonality by standardized furniture, finishes and planning and balanced it with numerous channel specific interventions in form of breakout spaces, environmental graphics and meeting spaces lending distinct character to each cluster. Democratic distribution of natural light, interconnectedness between various floors and superior employee facilities distinguish this project.